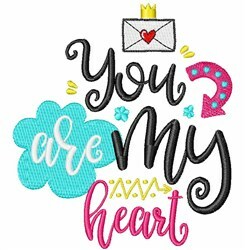 Show baby how much you care with this letter & quote design! Stitch this onto a baby bib or infant outfit for the perfect shower gift! 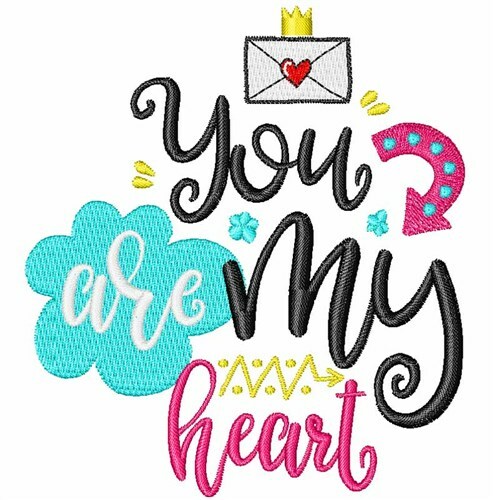 Easy Embroidery is happy to present You Are My Heart machine embroidery design which has 11035 stitches and is [90.14 mm x 101.34 mm] large. If you would like to view more embroidery patterns please search on our embroidery designs page.